Chanteur Country US né le 8 Août 1950 à Toledo (Ohio). Jamie O'Hara fut membre du duo Country O'Kanes avec Kieran Kane. 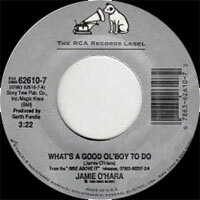 Singer/songwriter Jamie O'Hara was born August 8, 1950, in Toledo, OH. Originally a college football star, a knee injury forced him to look for career opportunities outside of the NFL. He picked up a guitar and eventually began to sing and play his songs at shows throughout the Midwest. Other performers took notice, and O'Hara began to establish himself as a songwriter. In 1975, he signed a publishing contract with Nashville's Tree Records. In 1985, O'Hara and another Tree songwriter named Kieran Kane collaborated on the song "Bluegrass Blues," which the Judds would eventually record. That meeting led the duo to begin writing and performing together as O'Kanes. They secured a deal with Columbia and went on to release three acclaimed country albums between 1987 and 1990. After the O'Kanes broke up, O'Hara returned to his duties as a songwriter. But he also found time to release his solo debut. 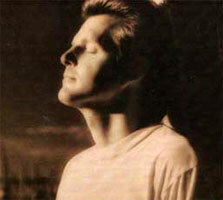 Rise Above It appeared on RCA in 1994; O'Hara wrote the entire album himself. While the album was a success, its follow-up didn't appear until 2001, when O'Hara released the richly textured Beautiful Obsession.